Costa Crociere has announced what it calls “slow cruising” onboard the 1,250-passenger Costa neoRiviera and 1,578-passenger Costa neoRomantica, that is, more leisurely itineraries. The ships will be sailing off the beaten track, with longer port calls, as well as a more intimate exclusive atmosphere and a focus on local foods prepared traditionally, including menus selected in collaboration with the Università delle Scienze Gastronomiche in Pollenzo. 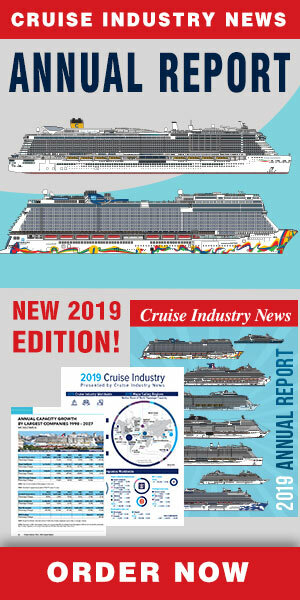 In a prepared statement, the Italian cruise brand said that the neoCollection is an invitation to make the most of every minute, enjoy the holiday in a more leisurely way and linger longer. This is basically a brand new type of cruise experience tailored to suit individual taste and let each person go at their own pace, both onboard and ashore. Costa also calls the cruise routes exclusive, with smaller ships sailing to new destinations, off the beaten path and inaccessible to bigger ships. The itineraries are designed with longer stopovers in each port, often overnight and part of the next day so as to allow guests maximum time on shore and the chance to explore in depth each place en route. And cruising is not one size fits all – hence Costa’s range of made-to-measure options, notably a series of specially devised shore excursions for small groups, and local fine food and wines. The Costa neoCollection debuts on February 9, 2014, from Dubai, with a special cruise on the Costa neoRiviera, a one-off 62-day voyage called the “Grand African Tour,” a circumnavigation of the continent offering opportunities to combine sea and beach experiences with safaris. During the spring and summer, the Costa neoRiviera will sail alternating 12-day Mediterranean itineraries -- away from the bustle of mass tourism. The neoRomantica will sail 13 and 15-day cruises in Northern Europe, to the North Cape and in the Baltic. Before sailing, Costa said, guests can personalize their itinerary by booking shore excursions that best match their tastes and interests. Once guests are onboard, a concierge will assists them in the choice of custom-made solutions embracing not only excursions but also a vast array of shipboard and shoreside amenities, such as the newly introduced “dinner under the stars,” a candlelit outdoor meal. Costa stated it is determined to preserve and highlight local gastronomic traditions based on wholesome ingredients available in the various ports of call. Thus, the menus comprise regional recipes designed to foster local culinary and cultural traditions. Hand-picked local wines can also be sampled by the glass. With open seating, guests can dine any time between 6:30 and 10:30 pm. The slow food approach continues ashore, where guests can go on food & wine excursions and taste local products. Each excursion is arranged in small groups of not more than 25 people.